The college has signed on to an agreement with the Lehigh and Northampton Transportation Authority (LANTA) in order to allow students, faculty and staff to use the LANTA bus system. Starting on Monday, students will be able to use their Lafayette ID to board the LANTA buses and travel into the Lehigh Valley as a part of a trial run for some larger potential changes in the school’s transportation services. The agreement is being arranged through the Lehigh Valley Association of Independent Colleges (LVAIC). Lehigh University, also a member of LVAIC, has a similar partnership already in effect for its students. Student government will be discussing the college’s ongoing efforts in this area on Thursday. “Student Government was instrumental in helping us get to this point and I hope it will provide both easy access to places like Giant and the Easton Bus Terminal but also afford folks the opportunity to explore the entire Lehigh Valley,” Annette Diorio, Vice President of Campus Life, wrote in an email. Olivia Barney ‘21 spearheaded the development of the initiative. Barney is a member of student government’s athletic affairs committee. “I think the LANTA transportation project is a great example of what can happen when a dedicated student government representative like Olivia Barney sees a problem in the community and takes steps to fix it,” said student body president Connor Burwell in an email. “She identified a gap in student and athletic services around transportation to Metzgar, uncovered a larger transportation issue and organized with administrators to brainstorm and enact a solution to the issue,” he added. According to Barney, the group’s initial focus was on transportation to Metzgar field so that more students would be able to attend athletic events. 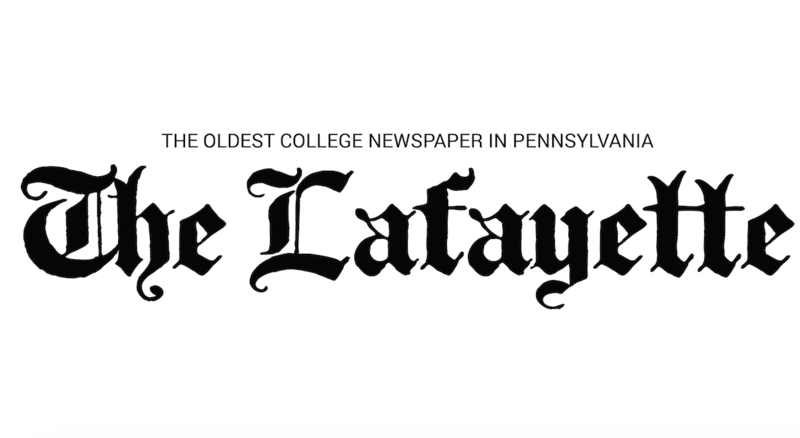 Currently, the Lafayette College Area Transportation (LCAT), which has a shuttle service to Metzgar during the week, does not run on weekends when many of the school’s athletic events occur. The process for expanding campus wide access to public transportation began last semester. Barney contacted Director of Public Safety Jeff Troxell, Parking and Transportation Specialist Bruce Hill and Athletic Director for Facilities and Operations Andrew Foster to discuss extending the LCAT service to run on weekends, which would allow students to attend weekend athletic events. According to Barney, this idea was rejected for being too expensive. “Troxell was the one who thought of [using LANTA],” said Barney. After Troxell introduced the idea of partnering with LANTA, other committees from student government started getting involved with the project. The committee for equity and inclusion emphasized the partnership’s potential to benefit international students and other students who stay on campus over the summer, as the LANTA bus system runs year round. Barney said the process to expand the transportation system on campus stagnated during the semester, but was rekindled over the winter break when she contacted Jarred Schlottman, Assistant Customer Service Manager at LANTA. “[Schlottman] told us that students would be able to get on a shuttle, use their student ID, and the school would be charged a certain amount, and students wouldn’t be charged anything,” said Barney. Though Barney expressed excitement at the new developments in the committee’s plans, she noted that their original goal of increasing access to off-campus athletic events would not necessarily be realized, even with the LANTA bus system. One idea that Barney discussed to remedy this issue involves repurposing the LCAT shuttles for internal use on campus, as students would be able to use the LANTA shuttles to go out into the community. “If [the LCAT shuttles] are not going to Target or WalMart or the movie theaters, we can use it to go elsewhere on campus,” said Barney. 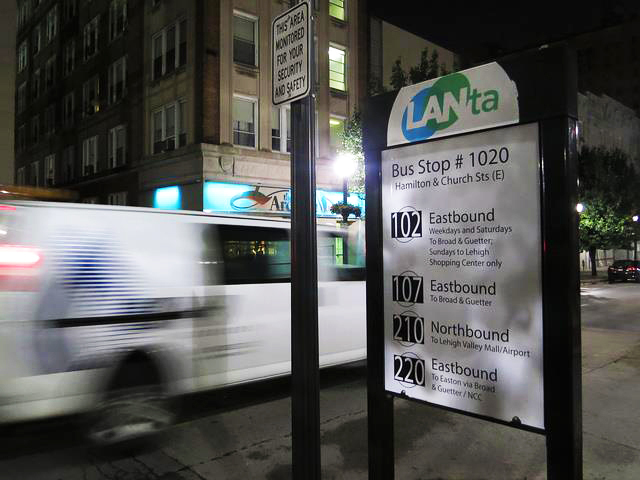 The LANTA system has stops across the Lehigh Valley, including in Bethlehem and Allentown, and currently costs $2 for a single one-way ticket.